Besan Masala Roti is a tasty and spicy roti prepared using besan flour and wheat flour along with the spices. Though the roti has all the flavours, it tastes great with pickle and curd. This is a perfect breakfast recipe which is so simple and easy to prepare. This recipe goes to an interesting event Recipe swap challenge hosted by the two lovely bloggers Vidya Narayan and Jolly Makkar. The concept of the theme is to recreate the recipe from our partner's page. And for this month, I was paired with a wonderful blogger Sasmita who blogs at firsttimercook.com. 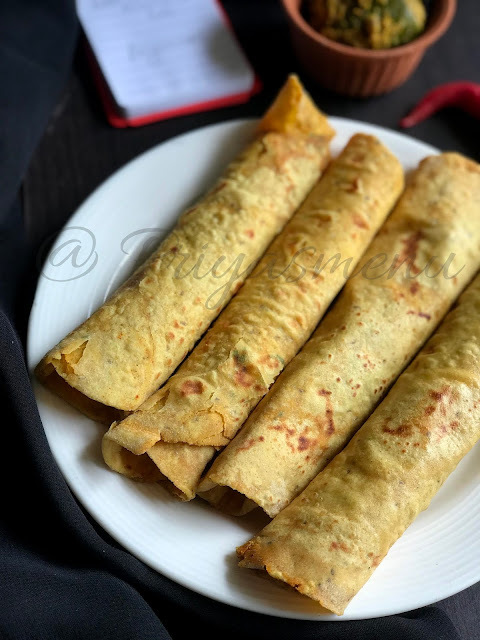 Her page was filled with lots of yummy recipes and after a great confusion, I chose a simple yet tasty roti as I love to try parathas and Rotis. The roti tasted too yum and being a spicy lover, I made my roti little extra spicier than the mentioned measurement. Thank you Sasmita for this delicious roti. Add besan flour, wheat flour, ajwain, turmeric powder and the required amount of salt in a bowl. Knead into a soft dough by adding water and a little oil. Meanwhile, mix red chilli powder, cumin powder, dry mango powder and coriander leaves in a melted ghee. Now divide the prepared dough into 4 equal balls. Take one ball of dough and flatten to 4-5 inch disc by pressing in between palm. Add 1/2 Tsp of the prepared masala in the middle and spread evenly. Bring all the sides of dough together and roll it again using rolling pin to get a roti shape ( around 6 inch ). Heat a tawa or dosa pan and add the rolled masala roti. Cook both the sides applying oil or ghee. 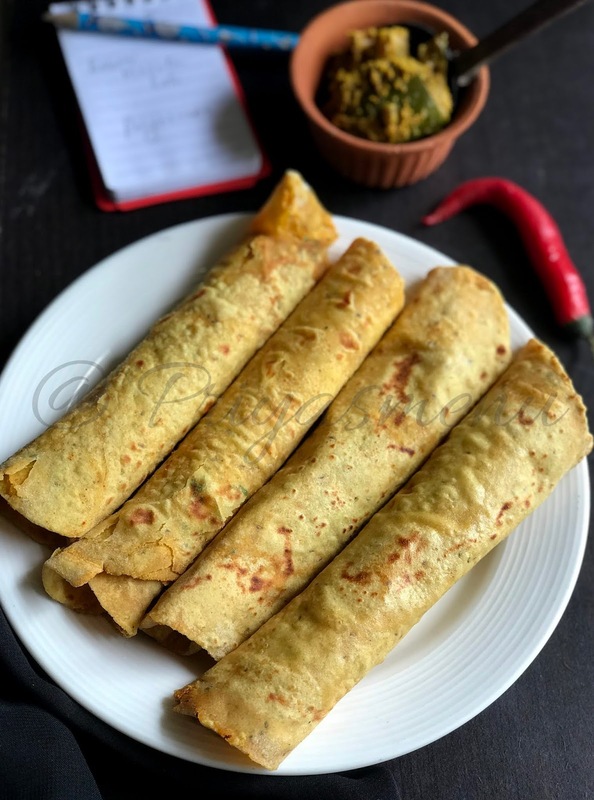 Excellent and soft looking besan masala roti, i love to finish some rotis with some pickle without any fuss. Lovely pick sis. It is nice to have different types of roti to break the monotony. Like you, I am going to try a spicier version of this roti and I know it will turn out great. This is a great roti for lunch boxes. Love the flavors and a great recipe to use besan. Haven't made a besan flour roti. Sounds interesting and must be a wonderful breakfast option. A perfect breakfast recipe. 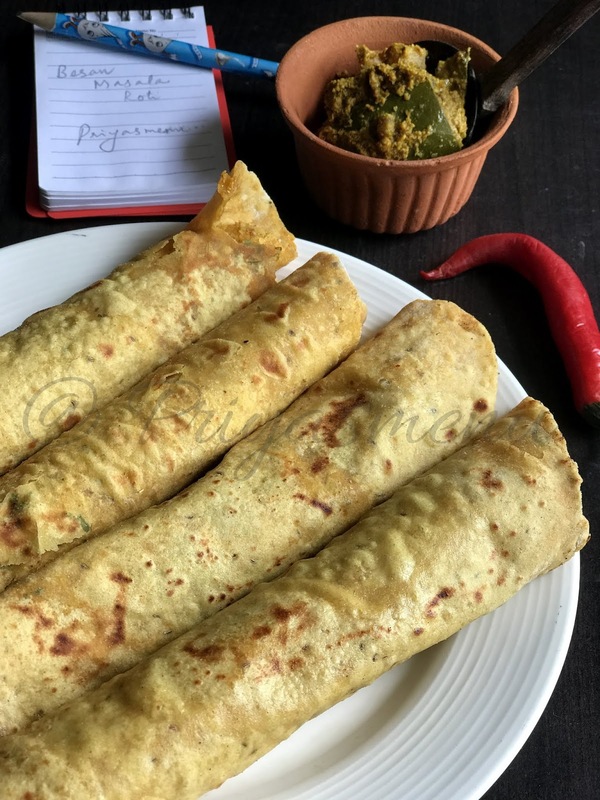 Besan masala roti sounds delicious healthy and easy to make. Superb share. Priya, these are delicious and flavourful rotis that absolutely need no fancy side dish. Some curd and pickles so rightly placed by you in the picture will do the trick for me as well. The besan masala roti us so comforting..I would love to pair this flavorful roti with raita and mango pickle . Thanks for the lovely share. This besan masala roti looks great, having it with ghee would be awesome. 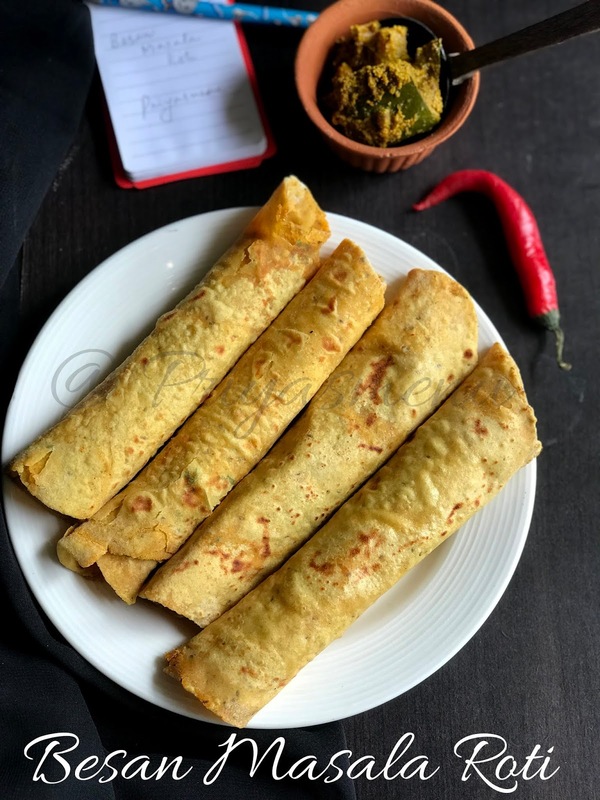 Such a flavorful masala rotis. Would love to have it with plain curd and my breakfast is done !! Awesome share Priya. Wow! This looks so delicious! So healthy and filling…We punjabis call this roti as “Missi Roti”.Love it! I wish I had one right now. This is such a good lunchbox option! Yummy looking roti! Such a yummy roti! I will love to have them for breakfast lunch and dinner and any other meal in between. Looks yum. Besan masala roti looks so good. Love to try it with raita..